Already hard-hit by drought, wildfires and declining water supplies, the southwestern United States will continue to face those challenges – and new ones. 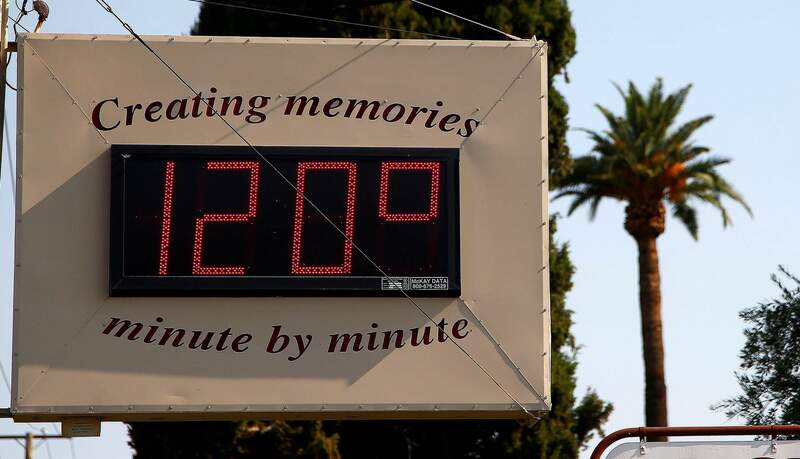 A sign shows the extreme heat in Phoenix in July 2017. Scientists say climate change is faster, more extensive and worse than they thought a quarter century ago. Climate change is here. It’s human-caused. And it’s going to deliver a blow to American prosperity. Already hard-hit by drought, wildfires and declining water supplies, the Southwest United States will continue to face those challenges – and new ones. That’s the message from a federal report released over the holiday weekend about climate change and its impact on the U.S. economy and infrastructure. Compiled by 13 federal agencies and more than 300 contributing authors, the peer-reviewed report reiterates much of what scientists have been explaining for decades. But it also clearly delineates the links between warming and extreme weather events – and warns of the increasingly expensive economic consequences that come from not addressing climate change. The assessment is part of the United States Global Change Program, which has completed reports regularly since directed by Congress and then-President George H.W. Bush almost 30 years ago. According to the assessment, rural and urban economies alike will suffer. Fisheries will decline, farming and ranching challenges will intensify and rising sea levels will push cities and neighborhoods back from the coasts. American infrastructure, from highways and rail lines to sea walls and electric grids, will also be affected by impacts from climate change. Even trade, including import and export prices, will be disrupted. These economic impacts are projected to cost in the hundreds of billions of dollars annually. In other words, everything from where humans build their homes and highways to how we plant crops, manage forests and assess property values must be considered through the lens of projected climate risk – rather than assuming that systems, both climatic and human, will work as they have in the past. The report also highlights local or regional efforts to curb greenhouse gas emissions and adapt to changes such as rising sea levels and heat waves and offers resources and road maps for individuals, communities and governments to increase these efforts. Future generations will experience life differentlyDuring a press call Nov. 23, David Easterling, director of the technical support unit of NOAA’s National Centers for Environmental Information, offered what can only be described as a sobering overview of findings in the 1,000-page report. Sea levels continue to rise, and extreme events – such as heavy precipitation – have increased, he said, and will continue to increase into the future. These changes threaten the American economy, its infrastructure, the environment and public health, he said, particularly in the absence of increased adaptation efforts. Risks are highest for those who are already vulnerable, he said, including low-income communities, some communities of color, children and the elderly. “Future climate change is expected to further disrupt many areas of life, exacerbating existing challenges and revealing new risks to health – including mental health – and prosperity,” he said. The combination of warming and recent drought has affected water supplies in the Southwest this year, with streams and reservoirs at historically low levels across New Mexico. According to U.S. Geological Survey data for October – the beginning of the 2019 water year – daily streamflow conditions were at or above average in only three of 21 river basins in New Mexico. In the Rio Grande Basin upstream of Albuquerque, streamflows ranged from 19 to 70 percent of average, according to data shared during the Drought Monitoring Working Group meeting Nov. 20. The state’s northern mountains have received some snow this fall, and farmers and skiers alike hope for a robust winter. But much of the state remains in drought’s grip, and forecasters estimate that December will be warmer than normal. Deep hits to the SouthwestThe Fourth National Climate Assessment is broken down into national-level topics – such as water, forests, transportation and tribes and indigenous peoples – and regional chapters. “The big message for me is the interconnectedness between all these systems” – including water, food, energy, ecosystems and human health – said Gregg Garfin during an interview with NM Political Report. “And if we try to look at those in isolation, we’re probably setting ourselves up for more problems,” he said. Garfin is lead author of the chapter on the Southwest, and a professor in climate, natural resources and policy in the University of Arizona’s School of Natural Resources and the Environment. Temperatures have increased from 1901 to 2016. Higher temperatures “amplify” recent droughts and contribute to “snow drought” when precipitation either doesn’t fall or falls as rain instead of snow. Continued warming will contribute to “aridification” – a potentially permanent change to an even drier environment than exists today. Depending upon the amount of greenhouse gases humans continue to emit, models forecast a number of different scenarios. Under the higher emissions scenario, for example, the mountains in California currently dominated by snow could receive only rain by 2050.Human-caused climate change is contributing to water scarcity in the Southwest. Along with drought, demands from a growing population, deteriorating infrastructure and dropping groundwater levels, climate change is putting more stress on the Southwest’s already strapped water supplies.The Southwest’s forests and other ecosystems are having a harder time providing wildlife habitat, clean water and jobs because of drought, wildfire and climate change. The cumulative area burned by wildfire increased between 1984 and 2015; that burned footprint is twice what it would have been without rising temperatures. With continued greenhouse gas emissions, the Southwest will experience even more wildfires, which contribute to flooding and erosion. In addition, warming is shifting where certain plant and animal species can live.The sea has already risen and warmed. Between 1895 and 2016, the sea level rose 9 inches at the Golden Gate Bridge in San Francisco. Depending on emissions, by 2100 that change could range from 19 to 41 inches, and currently 200,000 Californians live within areas expected to be inundated. Warming in the Pacific Ocean also disrupts ecosystems that sickens or kills wildlife and harms commercial fisheries.Southwestern tribes are at increased risk from drought, wildfire and changing ocean conditions. Because the U.S. government restricted some tribal nations in the region to the “driest portions of their traditional homelands,” the well-being of southwestern tribes is at increased risk from water scarcity, the loss of traditional foods, wildfire and changes in the ranges of plants and animals. Adaptation and mitigation measures are underway in many communities, but the authors note that “historical intergenerational trauma, extractive infrastructure and socioeconomic and political pressures reduce their adaptive capacity to current and future climate change.”Climate change affects energy demand and supply. As warming increases, demands for electricity rise – but demands for more water for fossil fuel plants will coincide with reduced water supply availability from snowpack. Moreover, hydraulic fracturing uses large amounts of water, pollutes water and emits greenhouse gases.Climate change will increase future food insecurity. Southwestern farmers already worry about water shortages and grapple with increased drought and heat waves. As surface water supplies become increasingly vulnerable, many areas have already depleted their groundwater supplies. Agricultural zones have already shifted and will continue to affect where certain crops and fruit and nut trees can thrive. Together, these changes will cause geographic shifts in crop production, “potentially displacing existing growers and affecting rural communities.”Southwesterners will suffer more health risks. The region will continue heating up, with more hot days and extreme heat events each year. People will also face more exposure to infectious diseases such as the plague and hantavirus, experience more allergy problems and be exposed to more severe dust storms.The authors also note that climate change affects mental health: “One impact of rising temperatures, especially in combination with environmental and socioeconomic stresses, is violence towards others and the self,” the authors write. 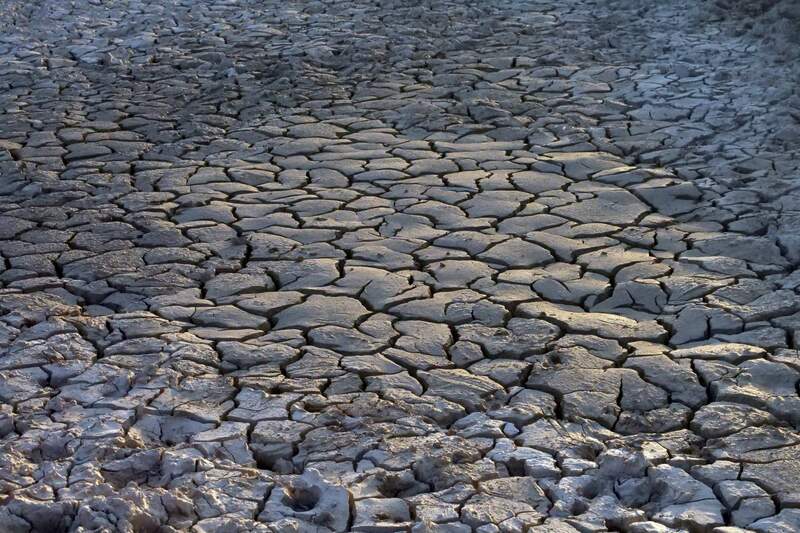 “Slow-moving disasters, such as drought, may affect mental health over many years. Studies of chronic stress indicate a potentially diminished ability to cope with subsequent exposures to stress.” In the Southwest in particular, they write, the “loss of stability and certainty in natural systems may affect physical, mental and spiritual health of indigenous peoples with close ties to the land.”Taken in total, the assessment for the southwestern United States offers very little good news. “I certainly get overwhelmed by the information and the impacts – just in the last couple of weeks, taking in the news from these fires in California, that’s very overwhelming, it’s heart-rending. People die, and this is super important,” Garfin said. Alluding to the recent Intergovernmental Panel on Climate Change report about the need to quickly transition the world’s energy systems away from fossil fuels to keep the worst of the impacts at bay, Garfin said the assessment report’s authors documented actions that states, cities, nonprofit organizations and the private sector are already taking to cut greenhouse gas emissions and adapt to changes. The report is a companion to a volume published last year about the physical climate science. The assessment is available online in English and Spanish. This story was originally published by NM Political Report and is reprinted with permission. Laura Paskus has been writing about New Mexico’s natural resources and communities since 2002. laura@nmpoliticalreport.com. Can El Niño undo the damage?